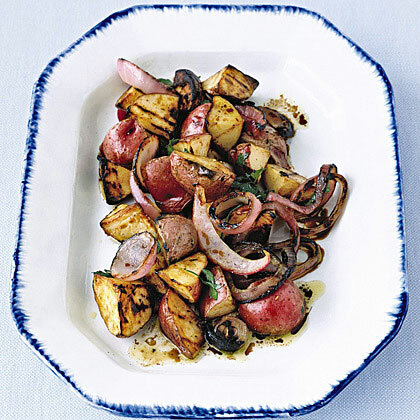 Grilled Potato and Onion Salad is probably the perfect way to get past your mid-day cravings. It is extremely quick and easy to prepare and will not require a lot of effort. It is probably the most ideal dish that can easily cater up to four people. Adjust the grill in your kitchen at a nice suitable place and heat it to medium. Take the potatoes and gently toss them in a clean bowl. Take onions and put them in the very same bowl. Add two tablespoons of oil in the bowl. Take the grill and arrange the above mentioned ingredients on it in a single layer. Grill the potatoes and onions and do not forget to turn them frequently. When both, potatoes and onions, are tender and slightly charred, stop the grilling process. Transfer the grilled potatoes and onions to a bowl. Add parsley to the bowl and then add the remaining two tablespoons of oil. After you are done with oil, add a small quantity of vinegar. Now add ¼ teaspoons salt, and ¼ teaspoon pepper to the grilled potatoes and onion and toss to coat. Your 20-minute Grilled Potato and Onion Salad is ready to be served. You can either serve it warm or at room temperature. Due to the potato and onion ingredients, this salad goes well with almost any steak that you like. I have made this salad several times. It takes a bit more effort than your traditional potato salad but it is always worth it. It totally depends whether you want to cook the potatoes, bake them or boil them. 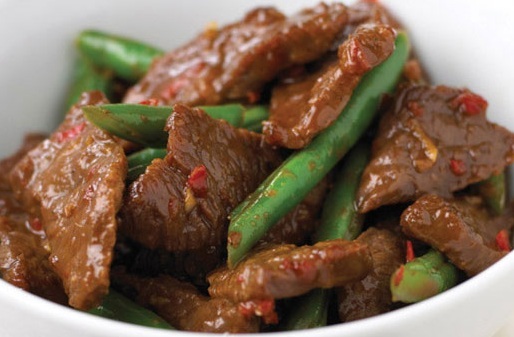 I personally like to cook them which is a relatively quicker way to complete this recipe.